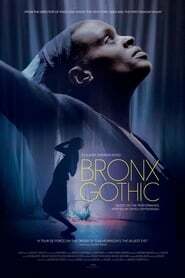 From director Andrew Rossi (PAGE ONE: INSIDE THE NEW YORK TIMES, THE FIRST MONDAY IN MAY) comes an electrifying portrait of writer and performer Okwui Okpokwasili and her acclaimed one-woman show, BRONX GOTHIC. Rooted in memories of her childhood, Okwui – who’s worked with conceptual artists like Ralph Lemon and Julie Taymor – fuses dance, song, drama, and comedy to create a mesmerizing space in which audiences can engage with a story about two 12-year-old black girls coming of age in the 1980s. With intimate vérité access to Okwui and her audiences off the stage, BRONX GOTHIC allows for unparalleled insight into her creative process as well as the complex social issues embodied in it.